What looks beautiful and natural to you today may have taken centuries of human influence to become that way. Nowadays, many people want to avoid fruit that seems to be produced unnaturally. Whether it’s the use of chemicals or the creation of new varieties of fruit through selective breeding and hybridization, there’s something about the unnatural that causes many of us to fear for our health. Without the hard work and intervention of so many farmers over the years, however, you might feel a little different about the way many of your favorite fruits look and taste. In the case of the modern strawberry, one of the most noticeable differences between it and its more natural ancestors is its size. 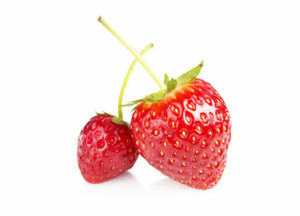 It wasn’t until other strawberries began being hybridized with the larger Chilean strawberry in the 18th century that the berries reached their modern expected girth. We at GoodFarms offer an organic strawberry that is naturally closer in size to the strawberries that were enjoyed for most of human history. We call these berries “gems” and they have several advantages. Since the berries are smaller, the flavor is more concentrated and therefore stronger. In addition, nearly twice as many of them can potentially fit in a clamshell, and at as little as half the price. In other words, they offer a lot more for a lot less, while also being held to the same high-quality standard. They even help in the fight against food waste. Keeping a more open mind about the appearance of fruit can lead to a world of possibilities, in some cases a world just waiting to be rediscovered.